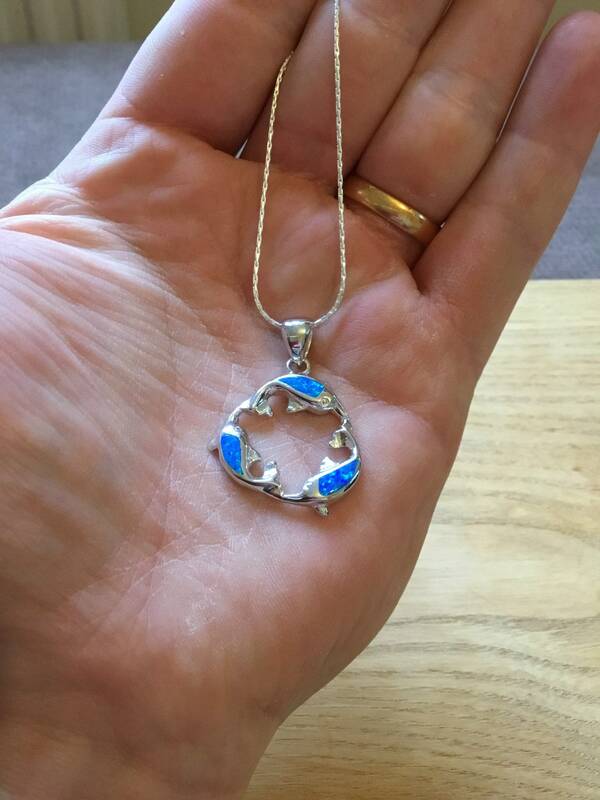 Trio Of Dolphins Pendant In Sterling Silver, Inlaid With Vibrant Opals. 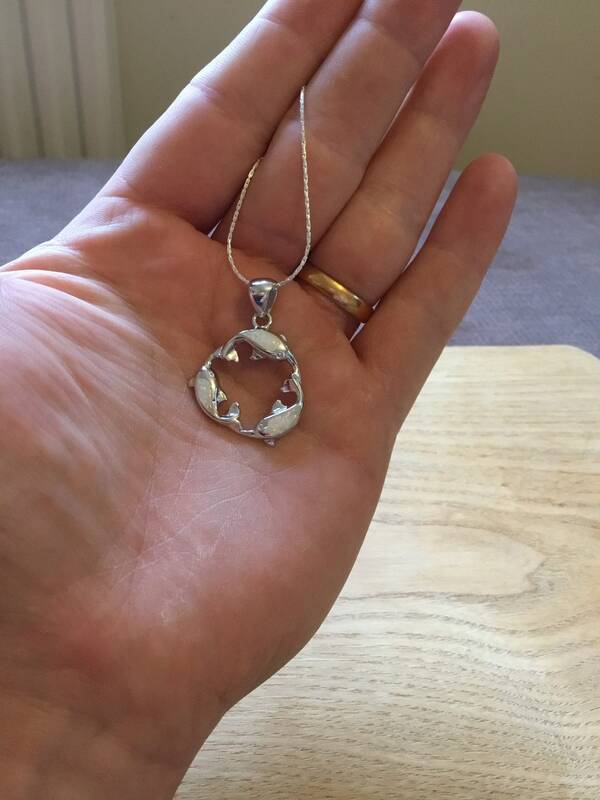 With a Measurement of 25 mm Diameter, Inclusive of Pendant Loop 36 mm in Length and a Depth Of 4 mm. 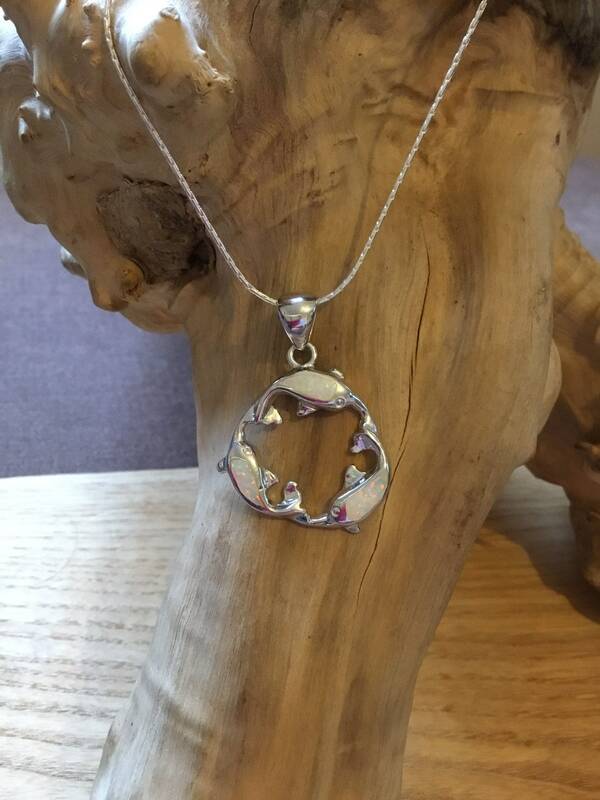 The Sterling Silver Chain Measures 17 3/4 Inches. 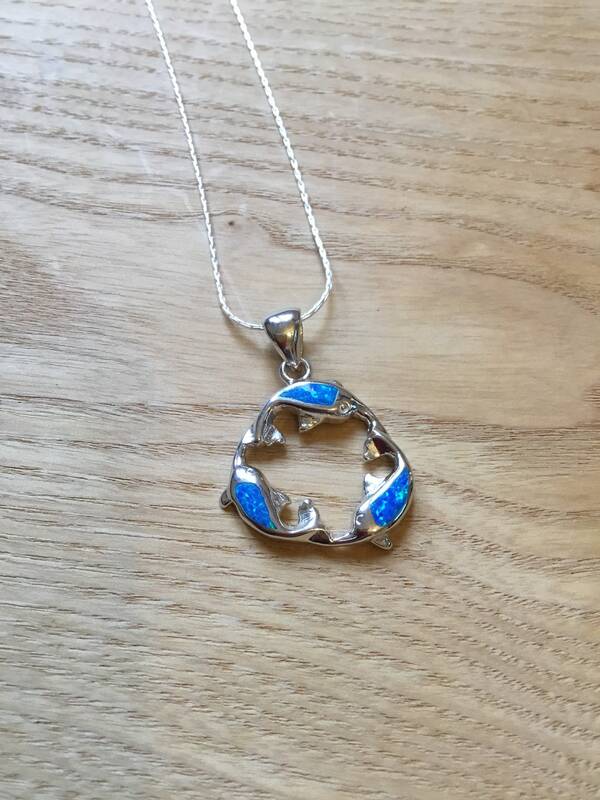 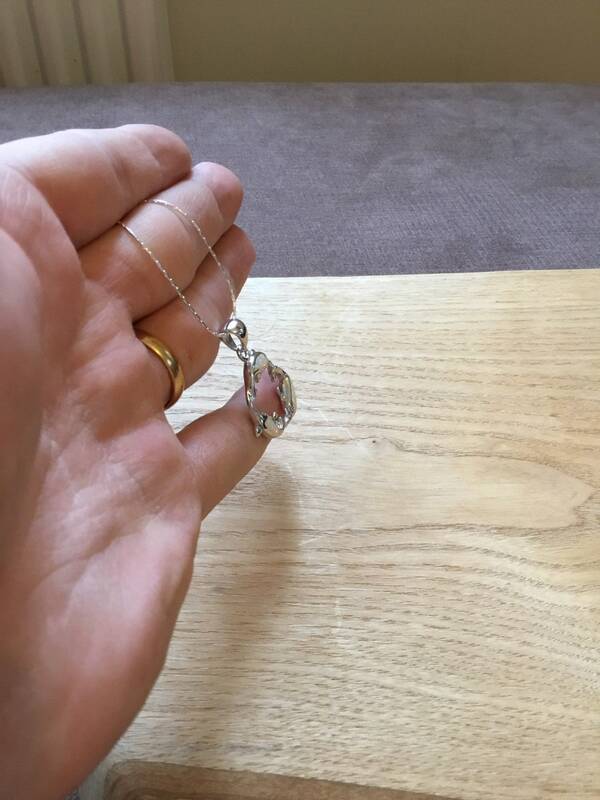 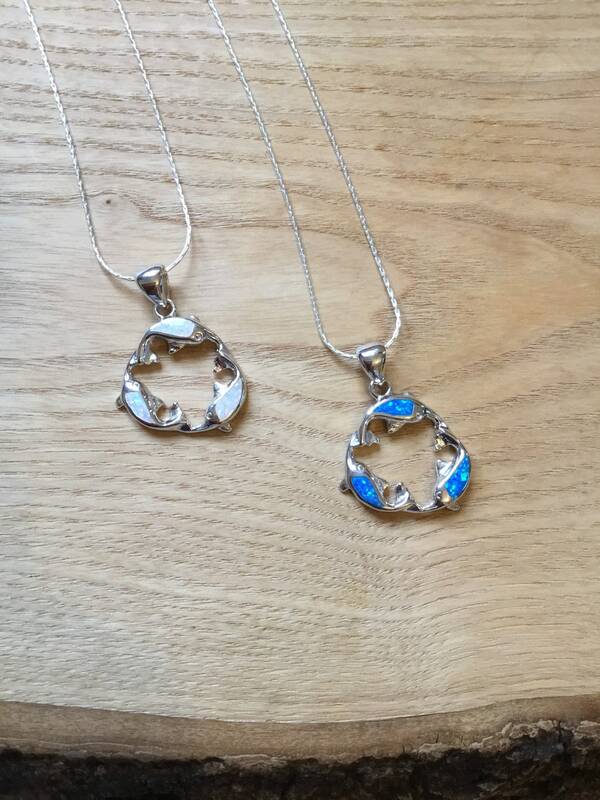 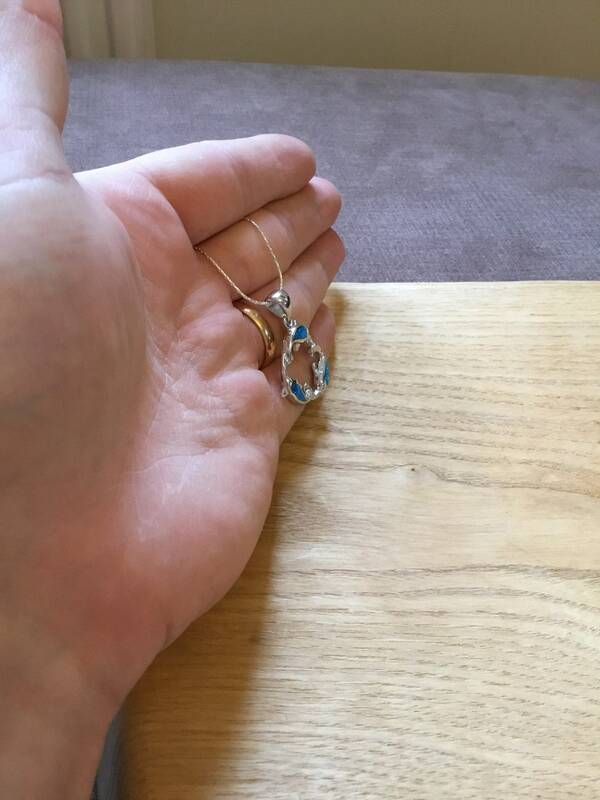 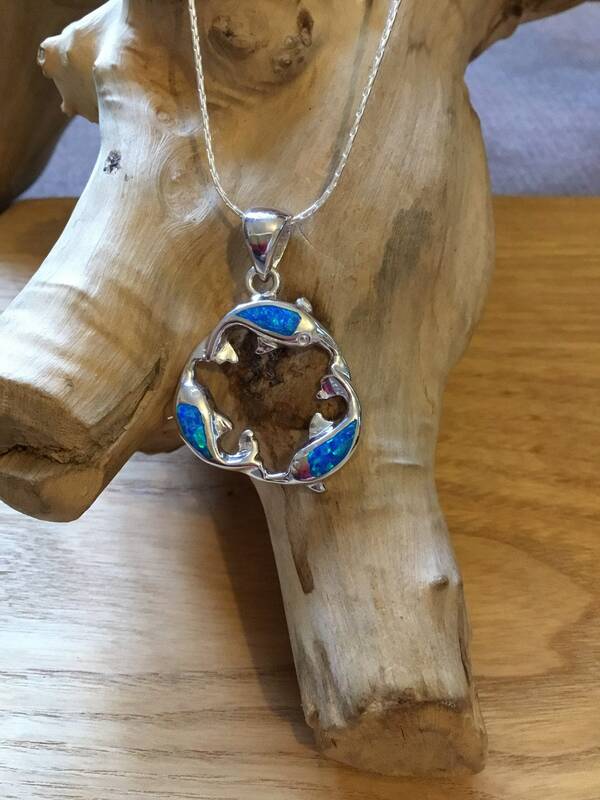 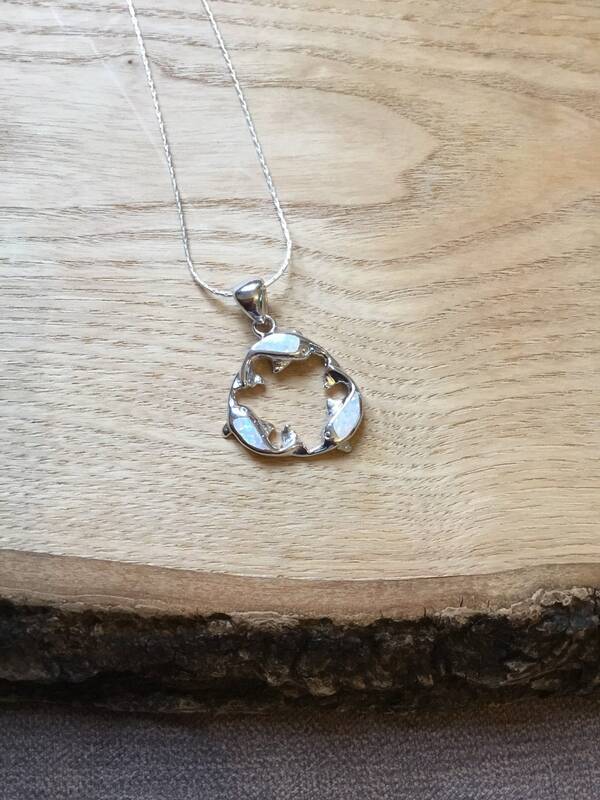 These Beautiful Opal Pendants Are Available In Either Blue Or White.